Tooth extraction is an ancient medical practice designed to treat a variety of illnesses. Throughout history, chronic tooth infections were linked to a variety of health problems, making removal of a diseased tooth the ideal treatment for various medical conditions, prior to the discovery of antibiotics. 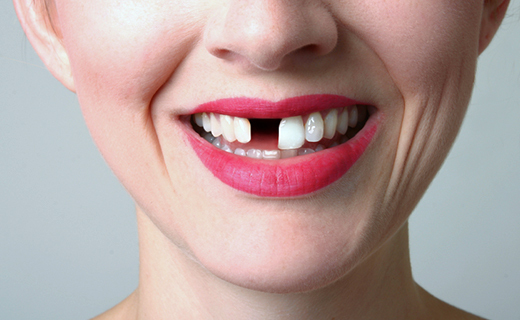 Today, broken, damaged or loose teeth often require professional tooth extraction to maintain optimal dental care. A tooth extraction, by definition, is the removal of a tooth from the socket in the bone. There are a variety of reasons why you may need a tooth extractionâ€”regardless of which, you need to know the costs, what to expect, how to prepare, and what the recovery process entails. A comfortable tooth extraction begins with finding an affordable dentist in Frederick who you can trust. Costs may vary by insurance provider or payment plans offered by the dental care office. Planning your budget and finding a trusted, affordable dentist is an integral first step for easing any anxiety associated with dental visits and tooth extraction. Next, your preparation for a tooth extraction will begin with an x-ray of the area, so that your dentist or oral surgeon can carefully plan the removal of the tooth. You and your dental care provider will also need to discuss your medical history and the best method of sedation. You need to be aware that preparing for your tooth extraction also means maintaining open communication with your dentistâ€”having a cold, nasal congestion, nausea, or vomiting up to a week before surgery may cause a delay in the procedure. Inform your dental care provider if you experience these symptoms to ensure safety and optimal outcomes. There are two types of tooth extraction: simple and surgical. Simple tooth extraction is the removal of a tooth that can be seen in the mouth. The tooth is loosened and carefully removed. A surgical tooth extraction is more complex in nature. This type of extraction is used for teeth below the gum line and requires a small incision into the gum. Local anesthetic is applied for both types of extraction and, in some cases of surgical tooth extraction, intravenous anesthetic may be used. During the procedure, you should feel no pain, only pressure. It is important to make your dental care provider aware if you feel any pinching or pain. Following the tooth extraction, your dental care provider will give a very detailed set of instructions to help you minimize pain and avoid infection. Pain and discomfort following tooth extraction varies. Surgical extractions generally cause more discomfort than simple extractions. However, with both procedures and healthy recovery, the pain should dissipate within a few days. Many dental care providers will prescribe pain medication or non-steroidal anti-inflammatory drugs (NSAIDs) to ease the recovery process. You will be required to consume only soft and cold foods for the next few days, adding other forms of food as your mouth heals and comfort is restored. Smoking, sipping through a straw, and spitting after surgery should be avoidedâ€”these activities can pull the blood clot from the area of tooth extraction and lead to undesirable complications. Contact your dentist in Frederick immediately if you experience intense swelling, fever, chills, redness, difficulty swallowing, uncontrolled bleeding, or excessive pain. To learn more about tooth extractions from an affordable dentist in Frederick, call Dental One Associates of Frederick today at (301) 862-6783 or make an appointment.